Does anyone here own any of these figures? I am trying to figure out the exact size of the heads. Could you post a picture of one standing with an Irwin or Jakks figure? 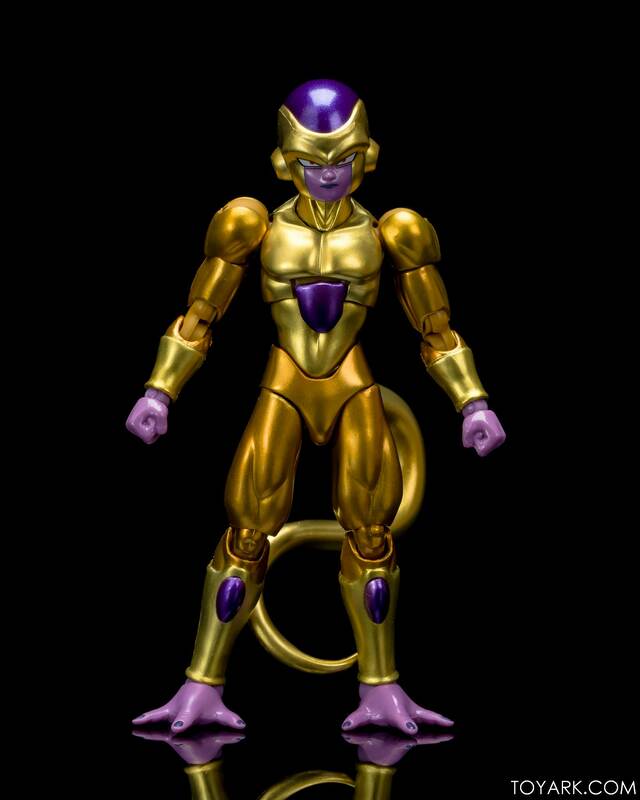 How about SH Figuarts Golden Frieza if you don't own any Irwin or Jakks? What about next to some WCF like Grandpa Gohan or Baba? I found this picture, but I didn't even know that LSS Broly WCF existed, so I have no idea how big it is or how it compares to WCF I actually own. Edit: I just found this image too, and I also don't own this Gohan. 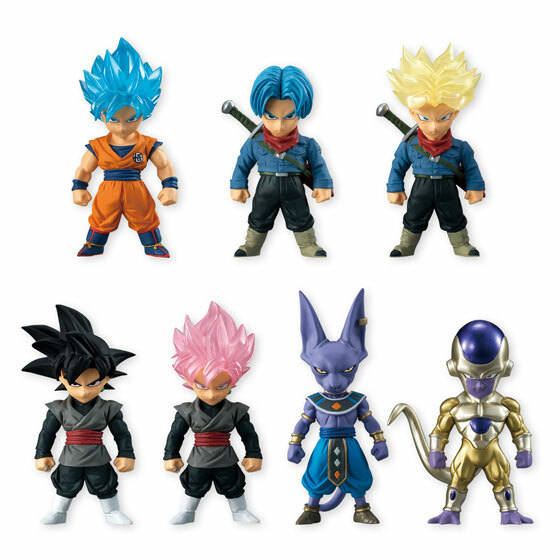 I really need to see them next to DB WCF or DWC figures if possible, or even better, next to Irwin or Jakks, or Figuarts Golden Frieza. Someone named Ben Lim on Facebook took this pic for me (attached). It looks useful. I should be able to put some figures next to Master Roshi in my collection and figure out if these Adverge heads are too small for 5 inch scale figures or not. Their face size looks accurate enough, but the hair doesn't look spiked enough to fit in 5 inch scale. 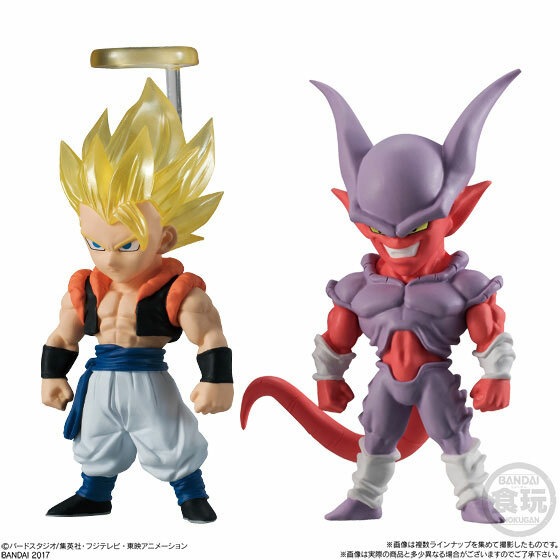 I'm mostly wondering about the upcoming Janemba figure in particular, as well as Gogeta. Their heads could be useful for me, if they are absolutely to scale, but they may be too small. But I also want to be reasonably certain that kid Gohan and kid Piccolo will be to scale. I forgot to check my collection last night for WCF Roshi, so oops. 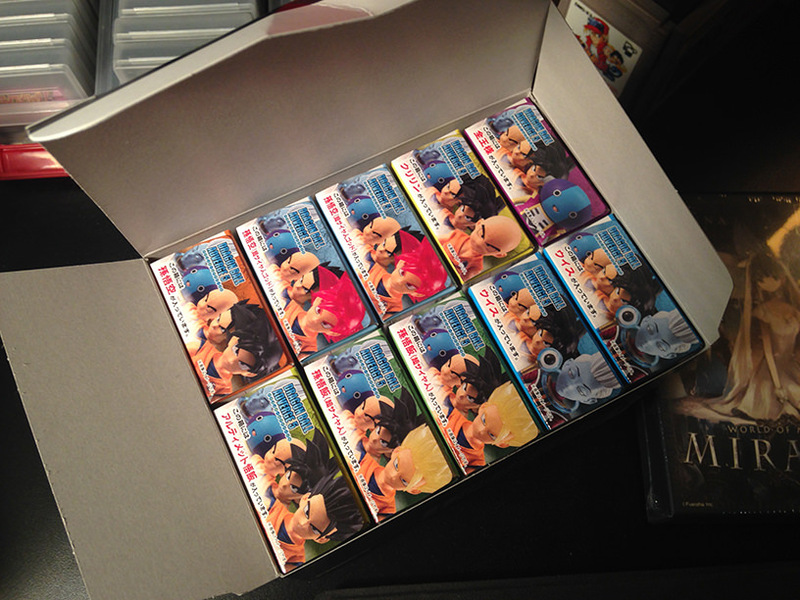 These Adverge figures are expensive for their size, at around $10 each at minimum, so I don't want to make a mistake. I really like this line. I was worried it was toast when there was a months long gap between Volume 3 and 4, but it seems they were using that time to retool the series (which they went into on the Bandai candy toy blog) - the faces are different now and more in line with other figures. The general paint quality seems better, too. I suspect the gap is probably also why we're getting Volume 5 already in December, although I'm sure it helps that like half of that one is versions of Goku and adult Gohan. Having 4 myself by now, the old figures, which I thought were fine before, really do look worse, although they are still pretty good and some fair better than others. Better they did this now than further along, I suppose, and I don't doubt they may go back and redo some of the earlier figures. Incidentally, I don't know why they didn't call this "Converge" too. It seems to have been a source of confusion for many retailers, as I've found these under everything from "Advag" to "Advantage". I do have everything out so far, although unfortunately I don't have any of the figures to do photo comparisons if you need any further references. I have uhhh, Amiibos and stuff? kicksville Great information! Would it be possible for you to measure the face on one of the figures in millimeters? Let's make this easy. Let's use someone bald. Golden Frieza. And so for my part, I've measured SH Figuarts Golden Frieza's face, since that figure is absolutely 5 inch scale. It is 9 mm from the left ear to the nose, so 18 mm wide from ear to ear. It is approximately 21mm from his chin to the top of his head. If I had a caliper ruler this would be easier, but I don't think I do. Hopefully this will be useful. Inches on top/metric on bottom, of course. My gosh! Adverge Golden Frieza's head is 17 mm wide and 20 mm tall!? Sooooo some of these might be nearly perfect for Jakks and Irwin 5 inch scale customs, particularly characters that aren't meant to have big hair. That's awesome! 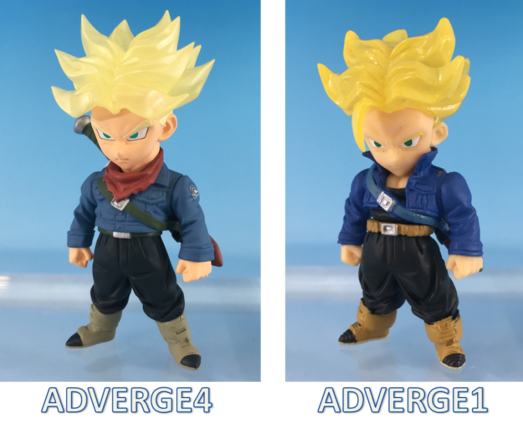 So that Adverge DB Super Future Trunks (non-SS) head is probably perfect for a 5 inch scale custom. And that also means that kid Piccolo (and maybe kid Gohan if I decide to replace my custom figure... unlikely...) will be on my definite shopping list! Janemba though... not sure about that. And SS Gogeta's hair would be super short and have to be lengthened. Maybe somebody on here will eventually show some pics of Adverge standing next to Irwin/Jakks figures. Most Banpresto and Bandai products have faces that look much more like the anime than Irwin/Jakks, so sometimes the faces stick out like a sore thumb. Awesome. Had a feeling the heads would work. If I didn't collect 5 inch scale, I wouldn't mind the scale of these smaller figures because proportions and heights hardly matter. I ordered the Perfect Cell one recently to see if I could convert the face to a faceplate for the Figuarts Cell since I don't really like the default faces on it. Judging from this thread it seems like it's not gonna work but here's to hoping anyway. 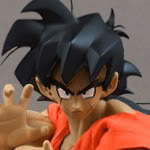 Cool, make sure to post a picture of Adverge Cell's face right next to Figuarts Cell's face when you get it! I'm curious! HOLY CRAP! More excellent news for 2018! Upa! Bulla/Bra! Pan! 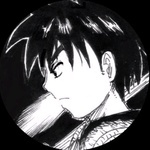 Goten! Trunks! Upa is just too cute!